One of the first frauds in the history of Darwinism, known as “recapitulation theory,” and heralded as undeniable “proof of evolution,” was an idea proposed and propagated by a racist eugenicist Professor named Ernst Haeckel in the late 19th century. A contemporary and friend of Charles Darwin and Thomas “Bulldog” Huxley, Haeckel postulated that human (and other animal) embryos experience a miniature form of the entire evolutionary impulse during their development in the womb, displaying first characteristics of fish, then reptile, and lastly mammalian or human. 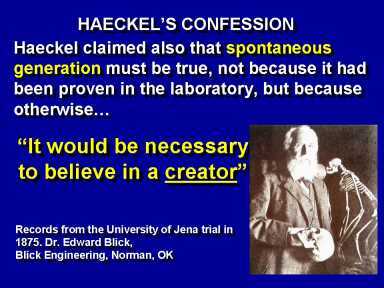 It has long been eliminated from scientific literature, but many people and popular sources still unknowingly quote and believe in Haeckel’s fraudulent work. 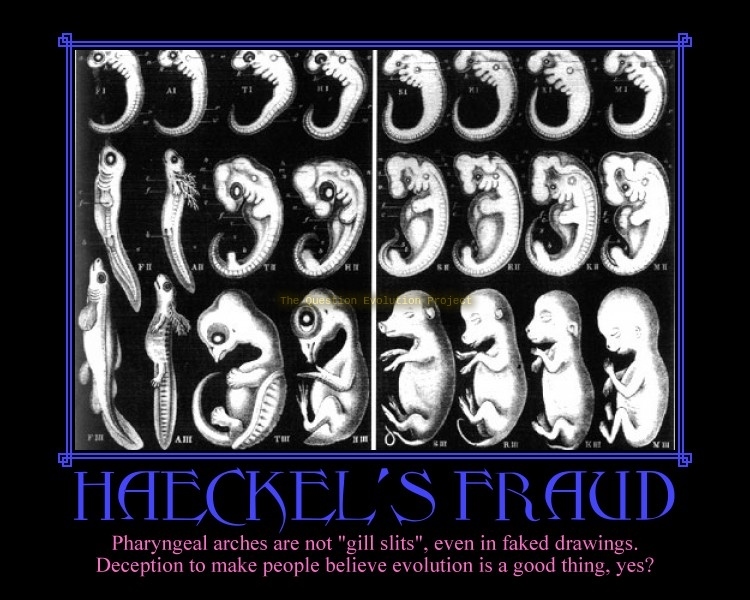 Several popular magazines and school textbooks as recently as the 1990s, over a century after being exposed, were still publishing Haeckel’s hoaxed pictures and recapitulation theory as science fact! What an admission! Not only did Haeckel confess his own forgeries, but he admitted that there were hundreds of other scientific fraudsters similarly doctoring findings in the best biological textbooks, treatises and journals (several of which will be examined in this chapter). 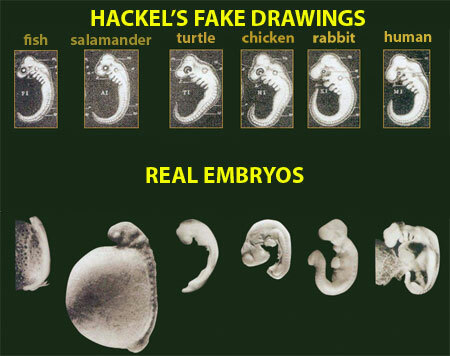 As it turns out, Haeckel had simply copied and printed the same human embryo pictures several times over claiming each were various other animal embryos with exact parallels, when in fact the parallels do not exist, and the pictures were copies he knowingly and intentionally made to suit his recapitulation idea. For the past 150 years, evolutionist scientists have been working diligently to propagandize the public into believing that modern humans are descended from ancient apes. 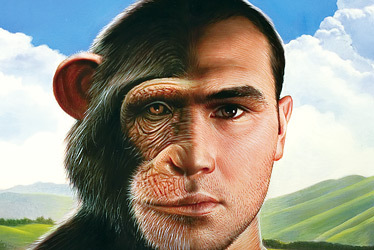 The final and most difficult theoretical leap for the theory of evolution is this supposed million-year transition from ape to human. 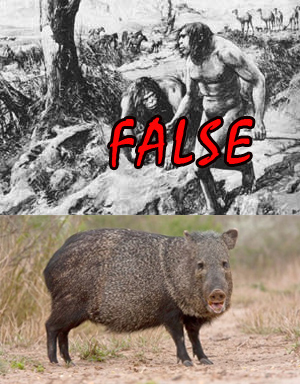 The utter impossibility of “evolving” abilities like bipedality, erect spinal columns, and complex linguistic skills has been debated since the theory was first presented, but such obstacles will never stop die-hard evolutionists set on discovering (or inventing!) a believable monkey-man transitional species. One of the main proponents pushing Neanderthal Man as an authentic species nowadays is Reiner Protsch, a German professor who dated the fossils at 36,000 years old allowing them to fit perfectly in the evolutionist’s timeline. In 2005, however, Protsch was forced to retire in disgrace by a panel of Frankfurt University heads who determined he had “fabricated data and plagiarized the work of his colleagues over the past 30 years.” The once-renowned “carbon-dating expert” has presently been completely ostracized from the scientific community. 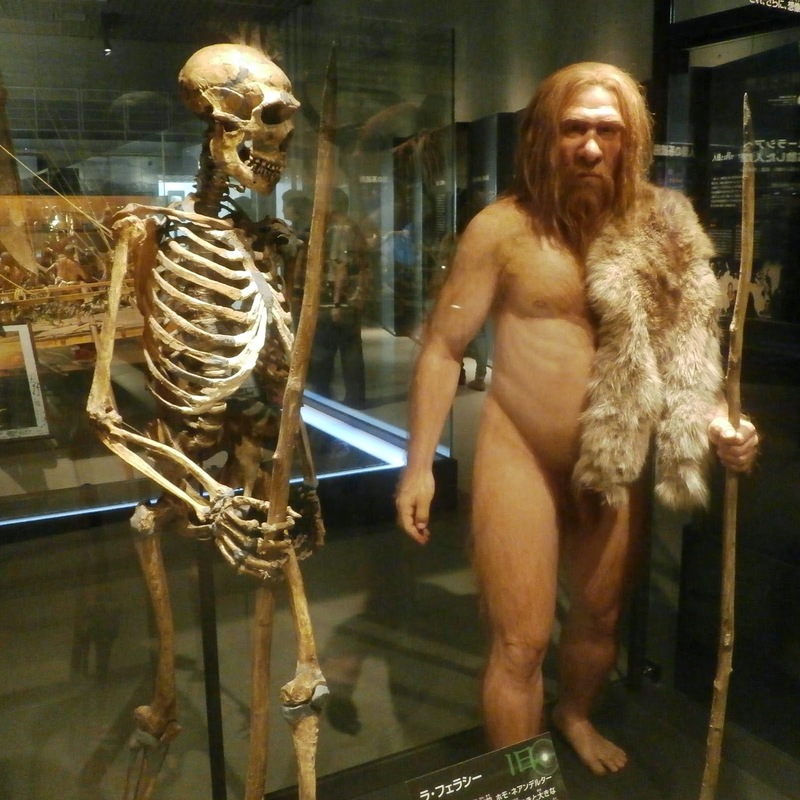 It has since been determined that all Neanderthal skeletal remains are no more than a few thousand years old, some only a few hundred! 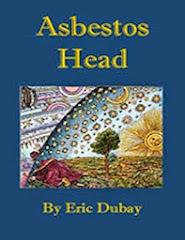 They have also found modern human DNA in the bones, that their brain capacity was 13% larger than the modern average, their height 5’9” comparable to our average, and they had advanced tools, buried their dead and enjoyed art! In 1891-92, the next ape-man “discovery” was found in Java, Indonesia by Eugene Dubois, who “coincidentally” happened to be a student and apprentice of evolutionist hoaxster Ernst Haeckel! Dubois found a skullcap, a leg bone, a jaw fragment and three teeth, from which was reconstructed the ape-like “Java Man.” Within 10 years of its discovery, Java Man was the main subject of over 80 evolution books and articles. 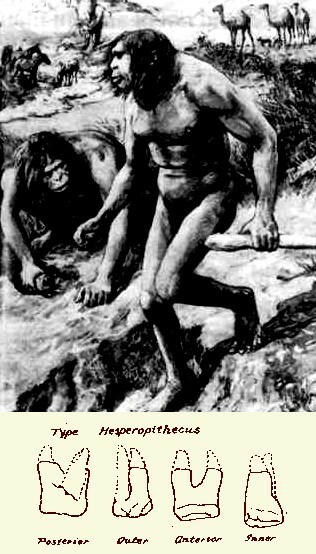 It was given the “scientific name,” of “Anthropopithecus erectus,” and later changed to “Pithecanthropus erectus” and finally “Homo erectus” undoubtedly for super-official pseudo-scientific reasons. 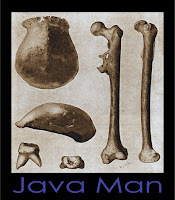 “Java Man’s” teeth were found to be of different ages and the bones a mixture of human and ape, with a giant gibbon skull! Rudolph Virchow, Haeckel’s own professor and the foremost pathology expert of his time stated, “In my opinion this creature was an animal, a giant gibbon, in fact. 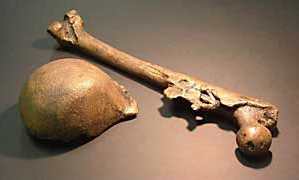 And the thigh bone has not the slightest connection with the skull.” He and many others have concluded the thigh bone is quite clearly human while the skullcap and teeth belonged to a primate. In 1912 a doctor and paleo-anthropologist named Charles Dawson claimed to have found a jawbone and cranial fragment of an ape-man transitional form in a pit in Piltdown, England. It was alleged to be 500,000 years old and was displayed as absolute proof of human evolution in museums across the world. 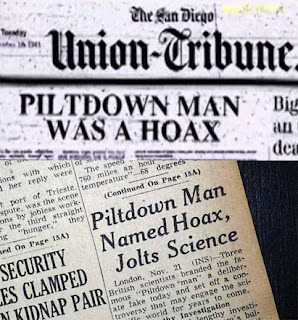 For the next 40 years, scores of “scientific” articles, artist reconstructions, and over 500 doctoral theses were written about “Piltdown man.” Objections and criticisms were raised immediately by contemporaries like Arthur Keith but managed to be mitigated by Dawson until 1953 when tests proved conclusively that the Piltdown skull was actually human and only a few hundred years old, while the lower protruding jaw was from a recently deceased orangutan! Investigators found that Dawson had artificially worn down the orangutan jaw, and that the “primitive tools” discovered alongside the fossils were imitations Dawson had sharpened with steel implements! Dawson also filled the molar surfaces of the teeth to more resemble those of man, and stained all the fossils with potassium dichromate to give them an antiquated appearance. The stains quickly disappeared when dipped in acid however. Wilfred Le Gros Clark, a member of Joseph Weiner’s team who uncovered the forgery, stated that, “the evidences of artificial abrasion immediately sprang to the eye. Indeed so obvious did they seem it may well be asked, how was it that they had escaped notice before?” Within days, Piltdown man was removed from the British Museum where it had been on display for four decades. 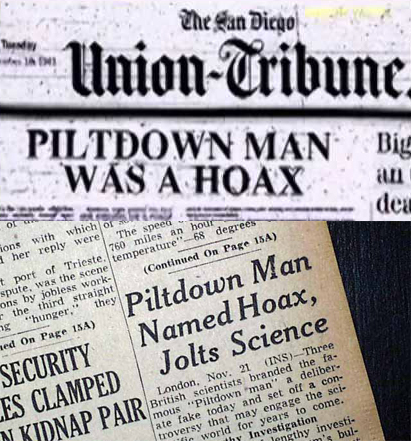 Once “Nebraska Man” made the media rounds of popular publications and the pliable public was sufficiently propagandized, the story disappeared until 1928 when William Bryan and William Gregory had the opportunity to independently examine the tooth. Their investigations both conclusively found that the tooth did not belong to a man or ape, but was actually from an extinct species of wild American pig called Presthennops! After William Gregory published his article, “Hesperopithecus: Apparently Not an Ape Nor a Man,” in Science magazine all drawings and models of “Nebraska Man” and his “family” were quickly removed from evolutionist publications. 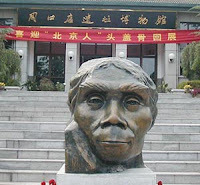 In 1927 Davidson Black declared he had discovered five crushed skulls and several teeth near Beijing belonging to an ancient ape-man species now widely known as “Peking Man.” Somewhere between 1941-1945 all the original bones were mysteriously “lost,” however, leaving only a few plaster casts left to examine! 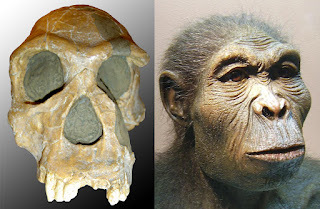 At the same site where this supposed “missing link” was found, there were also found the remains of 10 fully human skeletons who quarried nearby limestone, built fires and left behind a variety of tools. 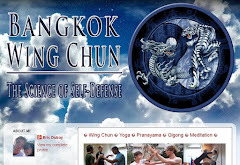 Many scientists now believe the tools were used on the Peking Man rather than by them. 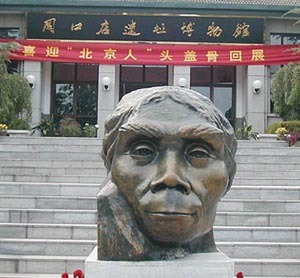 The back of the skulls were all bashed in and in that part of the world, monkey brains are a delicacy, so it is likely that Peking Man were actually Peking apes, and they were man’s meal, not man’s ancient ancestor. In 1974 Donald Johansson discovered “Lucy” a three-foot tall supposedly three-million year-old “Australopithicine” in Ethiopia. Widely publicized as our oldest direct human ancestor, Lucy made the usual rounds of scientific magazine journals and school textbooks. Don Johansson modestly claimed that Lucy was “the most important find made by anyone in the history of the entire human race,” and the media heralded him a hero. 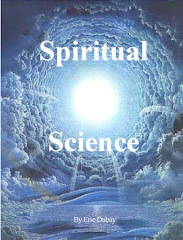 He was promoted from assistant professor to receiving his own Institute for Human Biology at Berkley. 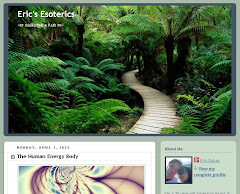 During all this time he never allowed scientists to examine Lucy’s bones until 1982, eight years later. Since then, and as more “Australopithecine” skeletons have been found and examined, however, many leading evolutionists agree that Lucy is simply an extinct type of ape, similar to modern pygmy chimpanzees and nothing more. They may have walked slightly more upright than most apes, but were not bipedal or erect, could not talk, spent most time in trees, and walked on all fours. 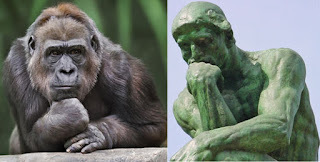 Lord Solly Zuckerman and Professor Charles Oxnard did 15 years of research on Australopithecines along with a team of five specialists coming to the conclusion that all the various specimens of Australopithecus they examined were only an ordinary ape genus and definitely not bipedal. 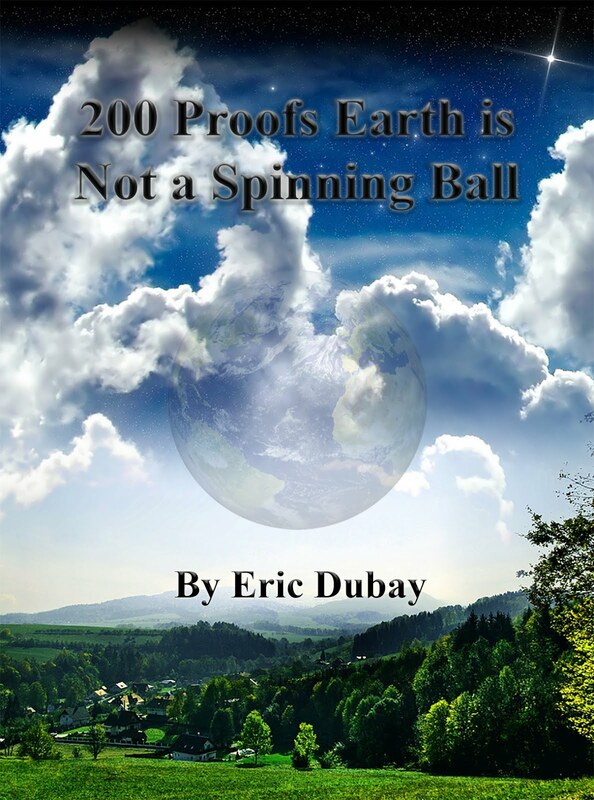 The French Science and Life magazine ran the cover story in May 1999 “Goodbye Lucy” writing about how “Lucy” the most famous fossil of Australopithecus was not the root of the human race and needs to be removed from our supposed family tree. 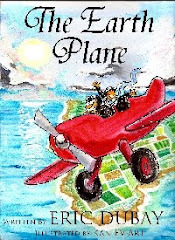 However, even now in 2014 a movie named “Lucy” has just been released by Masonic “Universal Pictures” where the Lucy ape-woman fraud is still treated as scientific fact throughout the entire movie. So, when seen for what they really are, all the supposed ape-men discoveries and reconstructions are nothing but frauds and fantasies. 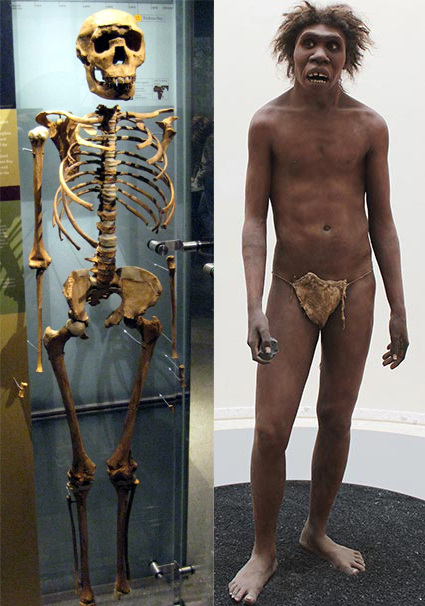 Neanderthal Man was just an ordinary man, Java Man and Piltdown Man were composed of human and ape bones, Nebraska Man was actually a pig, Peking Man was actually a man’s meal, Lucy was just a monkey, Orce Man was a donkey, and Turkana Boy was just a boy! 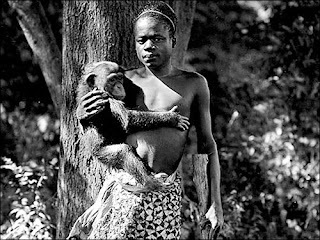 The current evolutionist ape-to-human transitional theory goes “Australophithecus,” - “Homo habilis,” - “Homo erectus” - “Homo sapiens.” Australophithecus, which means “Southern Ape,” has been proven to be nothing but an extinct ape which closely resembles many modern chimpanzees in height, arm and leg length, skull shape, teeth, mandibular structure, and many other details. Homo habilis, a hypothetical classification created in the 1960s by Turkana Boy team-leader Richard Leakey was what evolutionists deemed necessary to exist between Australophithecus and Homo erectus, because the jump was far too drastic. There needed to be a species of ape-man with a larger cranial capacity that could walk upright and use tools. 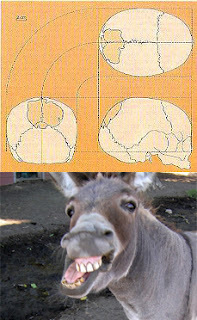 So Australopithecus and Homo habilis, the first two classifications, are both actually fully ape, while Homo erectus and Homo sapiens, the second two classifications, are in fact fully human and comparable to modern man, with variances no greater than the natural variances of race and genetics. 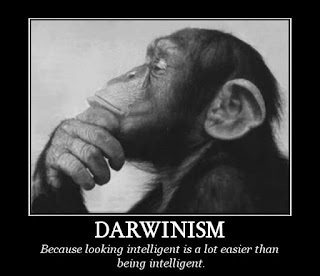 So even after 150 years of “discoveries” evolutionists are no closer to finding a true “transitional species” existing between ape and man, and no closer to proving their theory. Nor can they answer, how could apes develop bipedality, human arm/leg length ratios, erect spinal columns and complex linguistic skills? If humans evolved from apes, why do apes still exist? 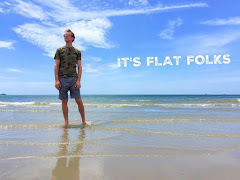 Why don’t any of these supposed transitional forms still exist now, and where are true examples in the fossil record?